Gamer-Connect, a movement by the Nvidia GeForce Team in India, has already left a huge impact in boosting the Indian gaming community. Generally in Gamer-Connect events, the firm in collaboration with some of the biggest gaming brands, showcases some of the latest gaming hardware for gamers across the country. The key-takeaways from such huge events? – Thousands of gamers experience the latest gaming hardware, connect to like-minded people and learn how to adopt gaming as a full time/semi-profession. Why are we talking about Gamer-Connect, when the article is based on something else? I suggest you to tread with patience as we advance further. Machine Learning Talks With IIT Hyderabad Prof.
All thanks to this initiative, thousands of developers in the nation have started taking an interest to learn accelerated computing, deep-learning, etc. using Nvidia’s GPGPU Computing platform. In addition to that, the B2B chain in the Indian IT industry has also rapidly started migrating towards cheaper super-computing alternatives using the firm’s platform. Shifting towards the motive of the article, I would now like to highlight the Nvidia Developer Connect, which I registered myself to attend on 28th September ’18, respectively, at Hyderabad. To know more, feel free to dive in! The event was organized in the city’s one of the best star-rated hospitalities, which is none other than ITC Kakatyia, located in Begumpet. The venue was swarming with a crowd full of nerds and corporate people, across the city, all eager to experience and know about some of the latest R&D tech by Nvidia. 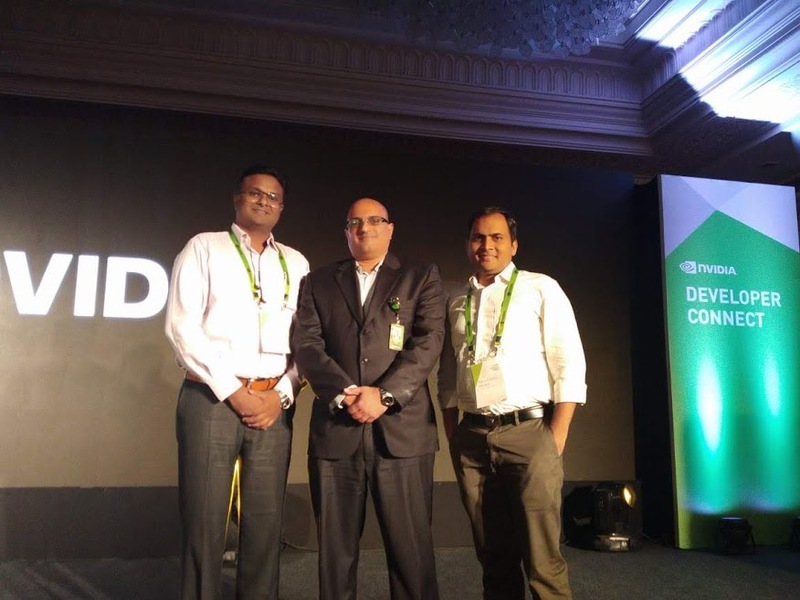 Rohit Biddappa, Head Developer Marketing (Nvidia India), took the honors of hosting an enthusiastic crowd of developers. 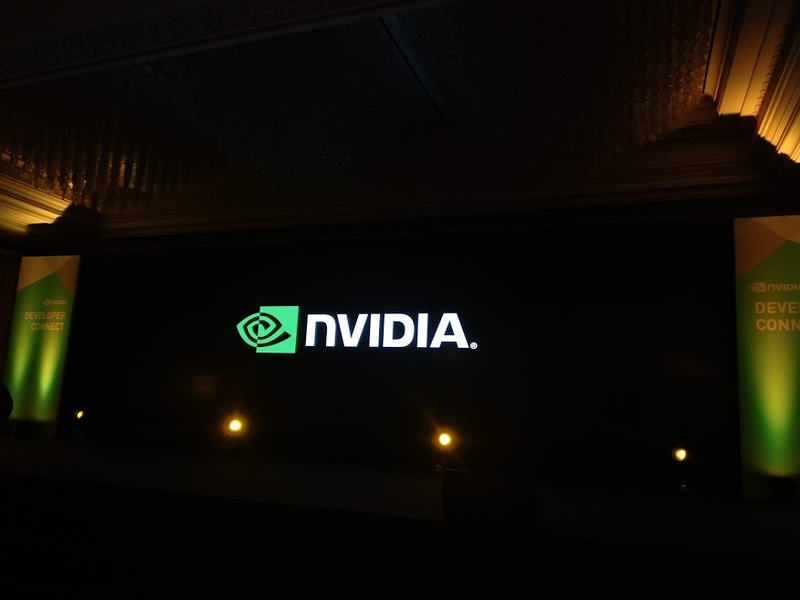 Throughout the event, the personnel made sure of the audience receiving a comfortable and good company from the staff members of Nvidia India. On a personal note, it was a privilege for me to shake hands and crack a few words with him. 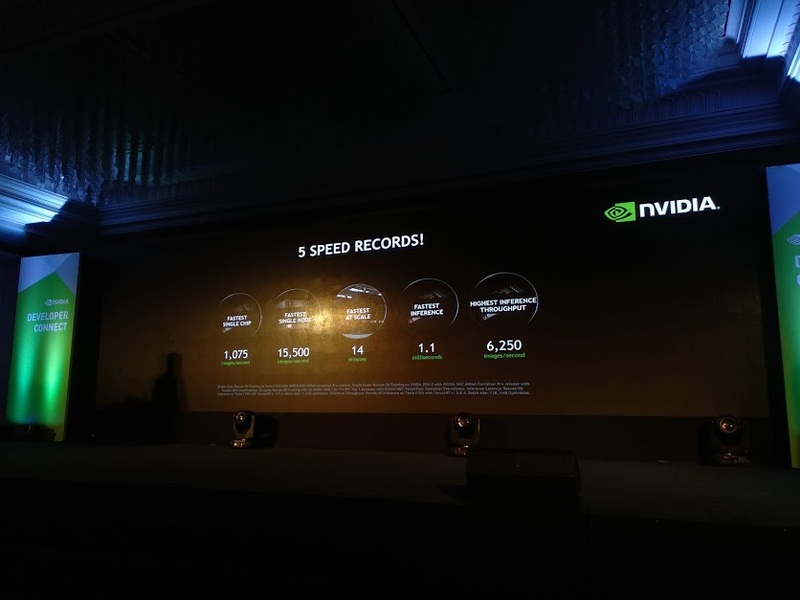 With a fabulous introductory speech by Sundar Nagalingam, Head Deep Learning Practice NVIDIA India, the spokesperson, mentioned about the key-highlights and progress made by Nvidia, with its awe-inspiring hardware technologies augmenting the growth of the software industry to the likes of the trending-most domains, namely, Deep-Learning & AI. You can definitely go through some of the key-highlights that he talked about, described below in a nutshell. The recently launched Deep-Learning Workstation, DGX-2, outperforms its predecessor by leaps and bounds. Exhibiting a 10x better performance, the low-cost super-computer is a technological marvel, especially optimized to cater to the needs of businesses, concerned about faster and cost-effective compute for complex deep neural networks. 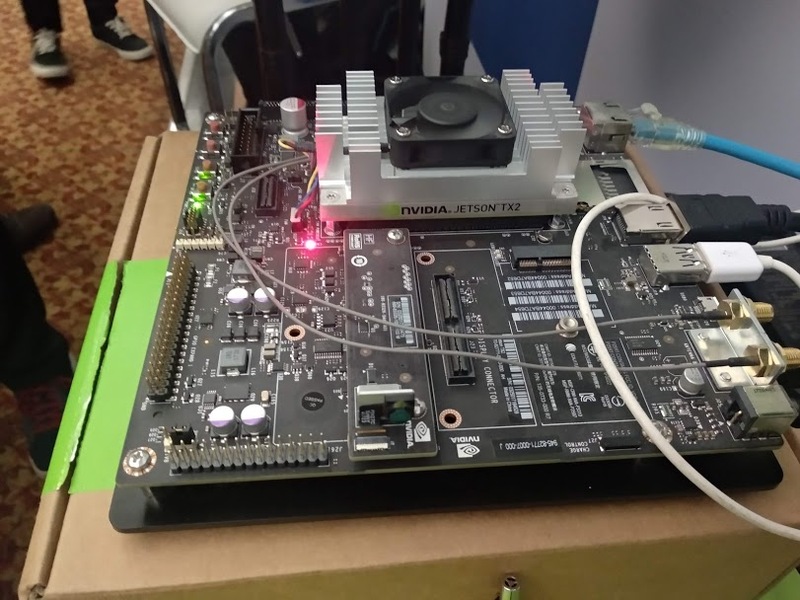 Somewhat analogous to Raspberry Pi modules, the recently announced, Jetson AGX Xavier Developer Kits by Nvidia, are mini small board workstations built to augment autonomous machines. Some of the implemented AI oriented applications with the Xavier kits vary across domains ranging from robotics to smart cities. To the general public, ‘Self-Driving Cars’ is not a new concept anymore. 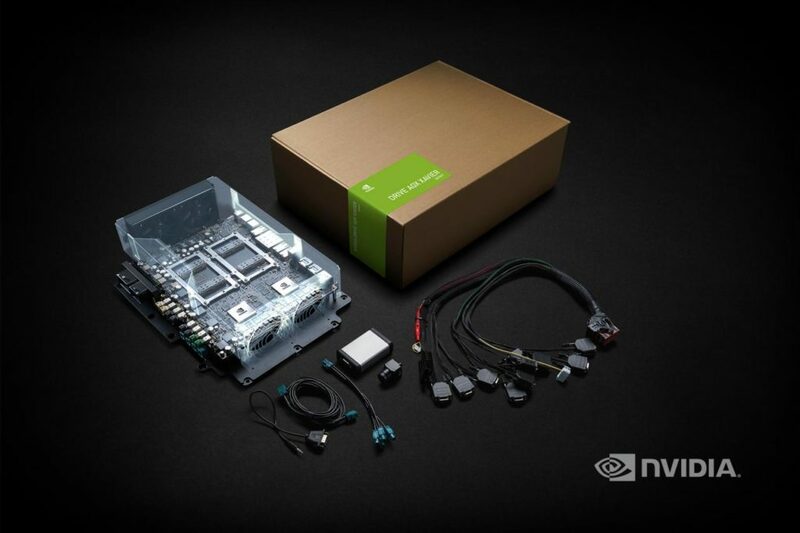 With the recently announced Nvidia Drive AGX kits, manufacturers of autonomous and automated vehicles will now be able to accelerate their production, by leaps and bounds. The Drive AGX platform facilitates faster processing of accurate object detection, maneuvering through obstacles, localization, and navigation. 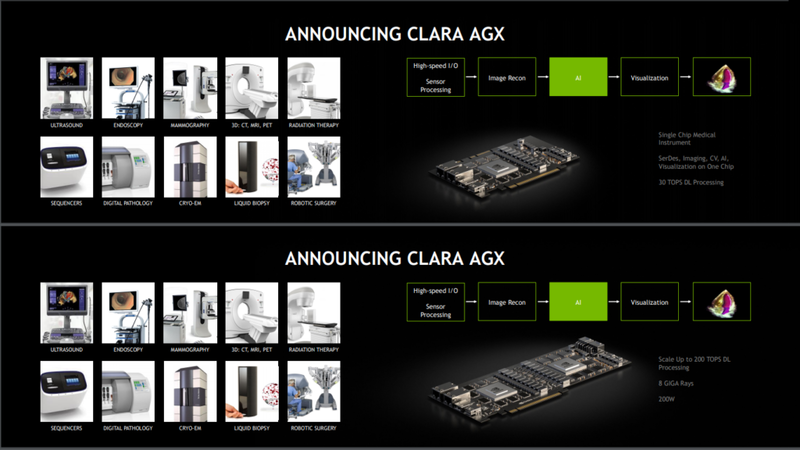 The recently announced, Nvidia Clara AGX, is a cost-effective medical imaging supercomputer exclusively built to facilitate, faster image processing, simulations, and deep-learning associated medical applications. Complex algorithms that would require infrastructure worth $10 million to execute, can now be worked on, with a much lower cost. Nvidia Isaac is an SDK, especially built and optimized, to enable developers to create and deploy AI-powered robots, with a much less hassle and comfort. Developers can simulate their prototypes virtually and can test it out in the real world accordingly. It was time for some of the developers/scientists, to take on the dais, and talk about how products from Nvidia, helped them in their research. It was indeed wonderful to learn a lot from Dr. Mithun Das Gupta (Principle Applied Researcher, Microsoft), as he shared knowledgeable talks on Machine Learning, along with a practical example on object detection using AI. 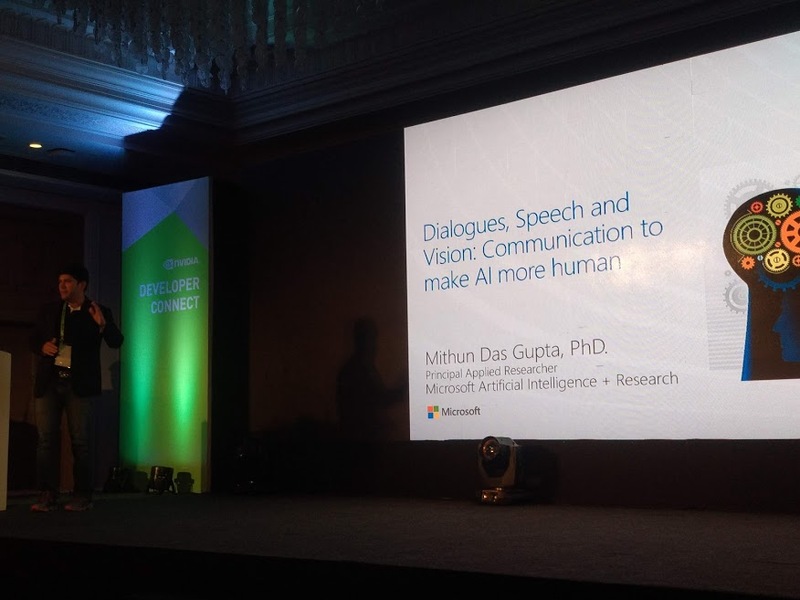 Most noteworthy, he shared some of the areas of his research work, based on enhanced communication to make AI more human. 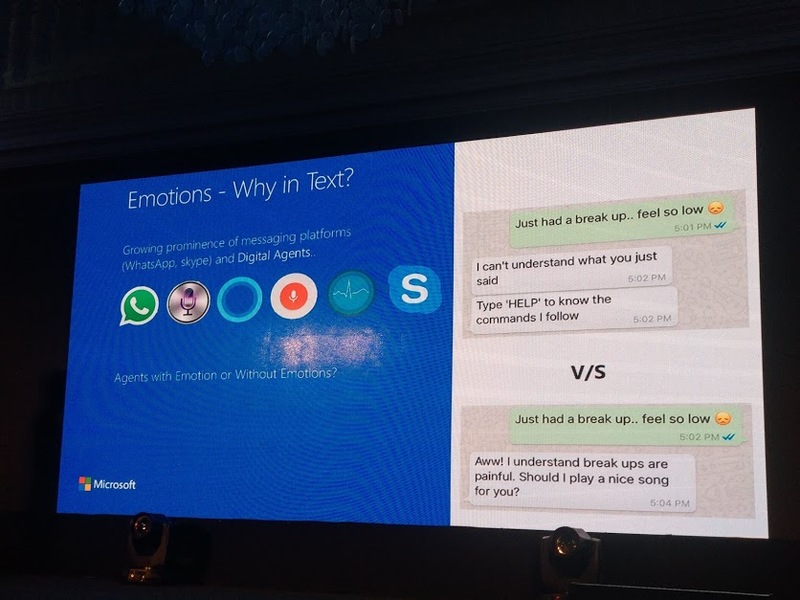 The key highlights of his talks were accordingly about ’emotions in text’, complex speech recognition algorithms and the exclusive Indian AI chat-bot, Microsoft Ruuh. Followed by a tea-break, it was Dr. Vineeth N. Balasubramanian from IIT Hyderabad, who took the honors of sharing his works using Machine Learning with Weak Supervision. It was a delight, to know from him about the rapidly progressing IIT Hyderabad campus, and the opportunities available for students and faculties for research-oriented work, especially based on Deep-Learning. 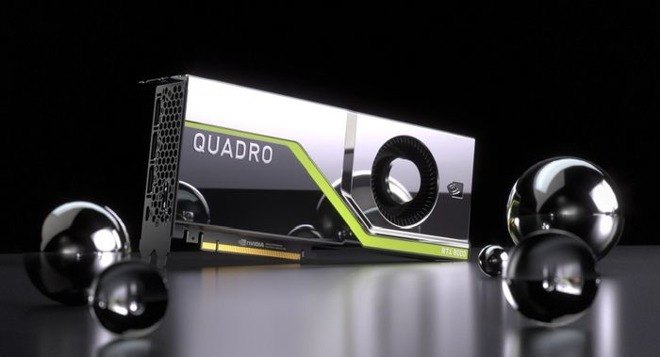 Especially relevant, the spokesperson, made important discussions on his involvement with some of the key Deep-Learning projects of IIT Hyderabad, implemented with Nvidia Workstations. 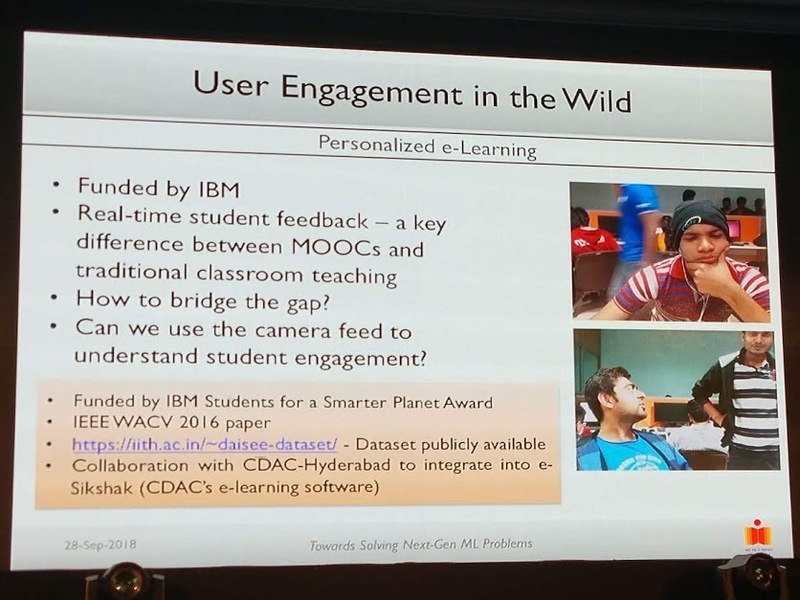 The audience was surprised to know about his concept of ‘Personalized E-Learning’, where the camera feed can be used to understand the student engagement. It was also spectacular to know about a joint-project of IIIT Hyderabad on ‘Deep Learning For Agriculture’. Some of the key parts of the project involved, counting panicles in rice-paddy crop using drone images. Can you imagine the thought of GPUs being used to protect us against natural disasters? Doesn’t that sound incredible? Well, it’s being put into practice. 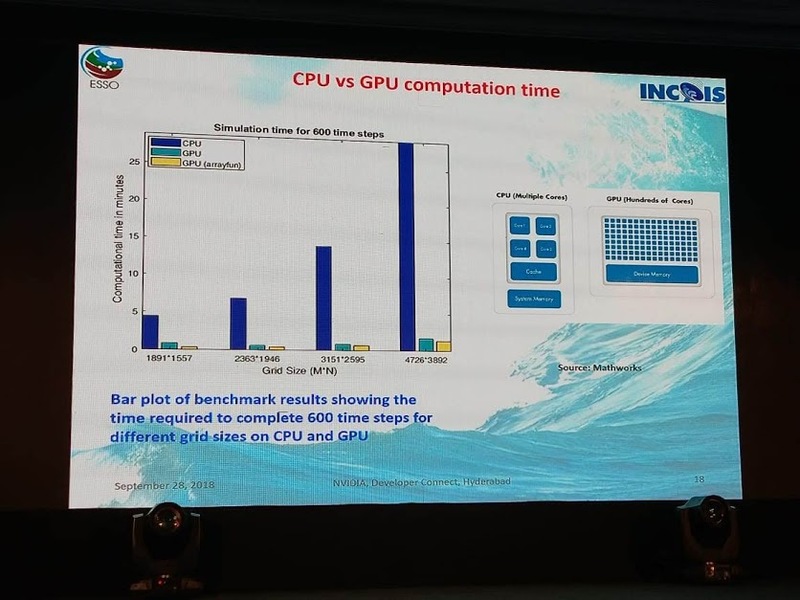 Evidently, Dr. Siva Srinivas Kolukula (Project Scientist, INOIS), explained about how his organization has achieved a much better efficiency in predicting tsunamis, especially across the Indian Ocean, all thanks to GPUs. The scientist, mainly spoke about the complex algorithms, implemented by the Indian National Centre for Ocean Information Services, to compute tsunami predictions, using MATLAB accelerated using Nvidia GPUs. It was finally, some of the engineers the from Nvidia, who delivered real-time practical sessions on various technologies made by the GPU giant. Described below are the important highlights in a nutshell. 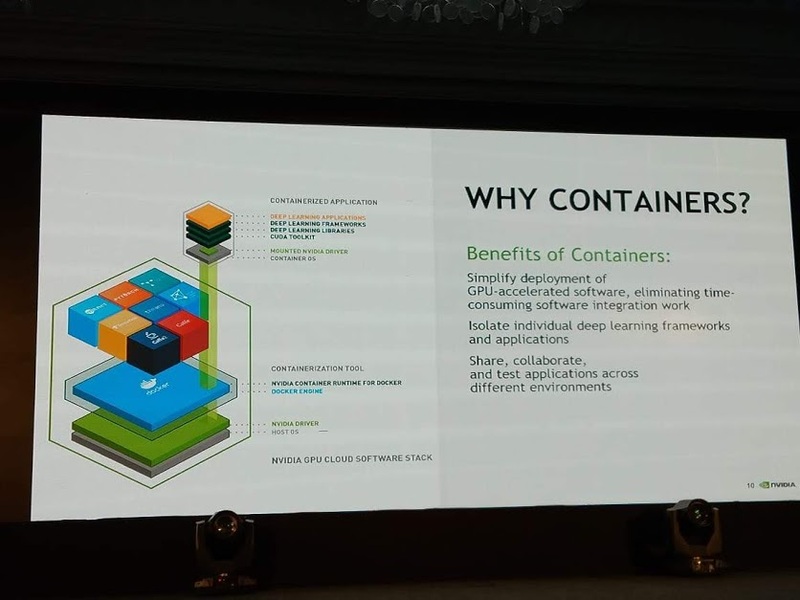 With an introduction to containers in Linux environment, Ashish Sardana, Deep Learning Solutions Architect, dived the audience deep into the benefits of Nvidia Docker. Just like any docker container, Nvidia Docker can be used to bundle any GPU accelerated application with associated libraries, environment variables, and data files. With this docker container, any user can run and execute the application, in any Linux OS supporting GPU-accelerated containers. The Compute Unified Device Architecture (CUDA) by Nvidia, changed the fate of parallel computing. With the framework, developers and scientists could salvage the power of GPUs (for low-cost advanced computations), that were primarily meant for gaming. 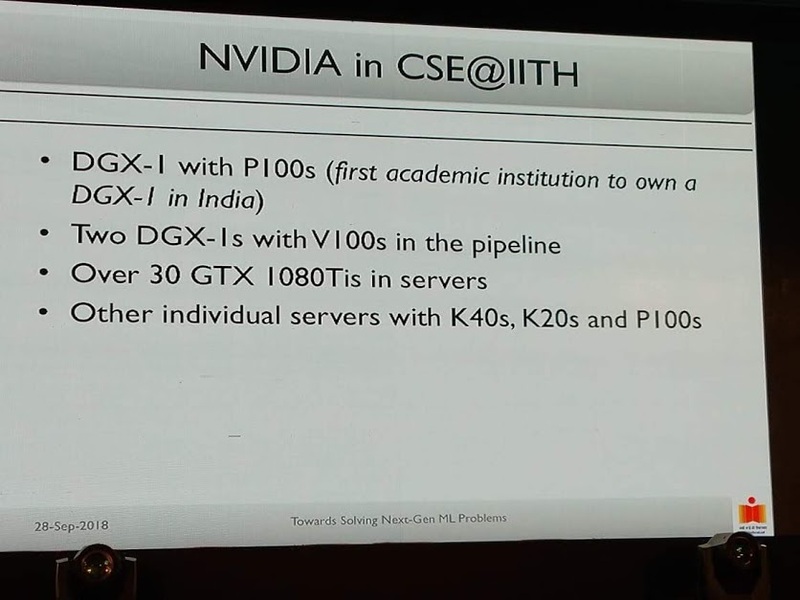 The aforementioned feat in parallel programming is what was exactly explained by Mr. Mukundhan Srinivasan (Deep Solutions Architect) with in-depth talks about the latest Volta and Turing architecture by Nvidia, implemented in its GPUs respectively. 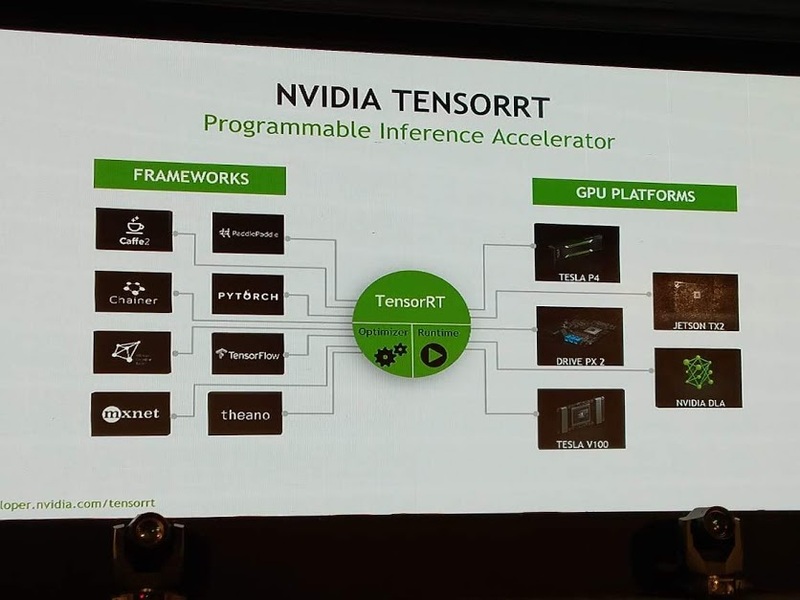 TensorRT is an exclusive platform by Nvidia to facilitate accelerated deep-learning inference. Deepshika Kumari, Deep Learning Solutions Architect, showcased the platform’s benefits by executing some real-time deep-learning applications using TensorFlow Python APIs. Hence, practically, it was shown how well TensorRT is integrated with frameworks like TensorFlow. Not only that but also, the audience got to learn about the implementation of ONNX models, Relu module and UFF package, in the respective platform. Most noteworthy, it was exciting to watch absolute accuracy and fast precision, in video-analytics implemented with Nvidia’s DeepStream SDK. Followed by the session, the event ended with the developer audience networking with each other and interacting with key personnel from Mathworks and Nvidia, thus parting with happy faces. 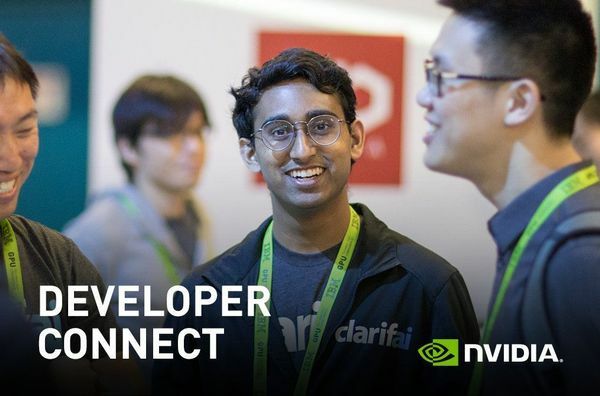 For a general deep learning enthusiast, the Nvidia Developer Connect Hyderabad would be a spectacular event because there were lots of new stuff to learn about. One finding terms related to the domain, as technical jargons, can rather incur a boost to learn more about AI and DL with GPUs, after attending such sessions. On a personal note, as a parallel programming enthusiast, it was a bonus for me. There were lots of key-takeaways, and it was the first exposure I got for Deep Learning. 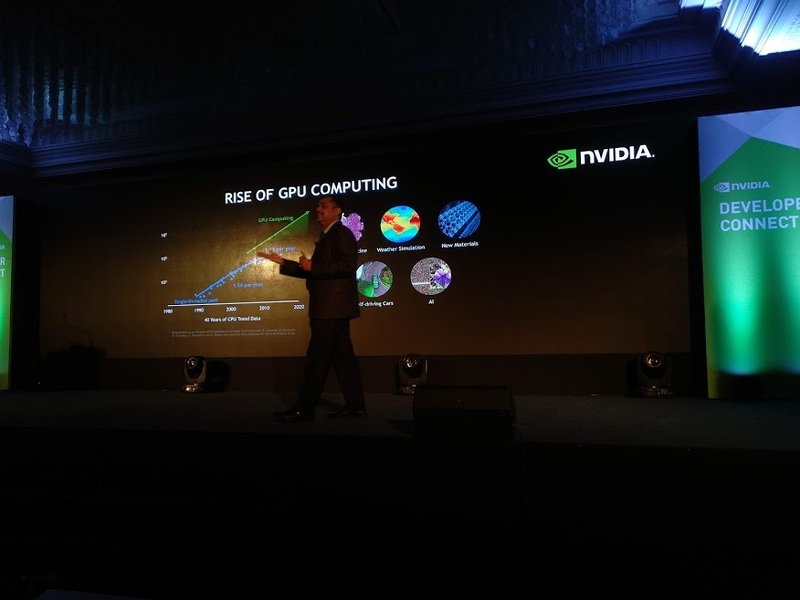 On the other hand, considering the general public, the Nvidia India team needs to introduce interactive and fun activities to augment the learning process for the audience. In addition, more hands-on experience could also turn out to be beneficial.